Ta-Da! Behold: the coolest chair you ever did see. We did it! 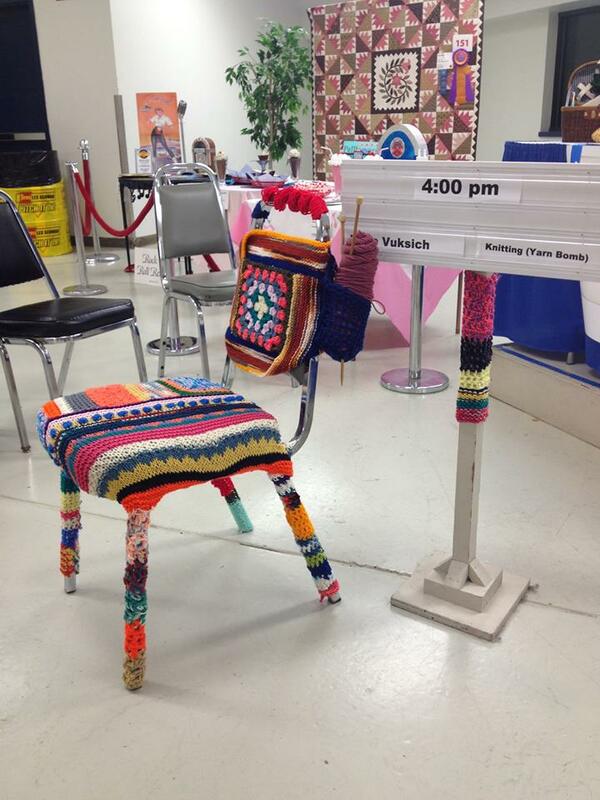 We finished yarnbombing the chair at the WA State Fair and, oh my, is it awesome! The card has the artist’s signatures. 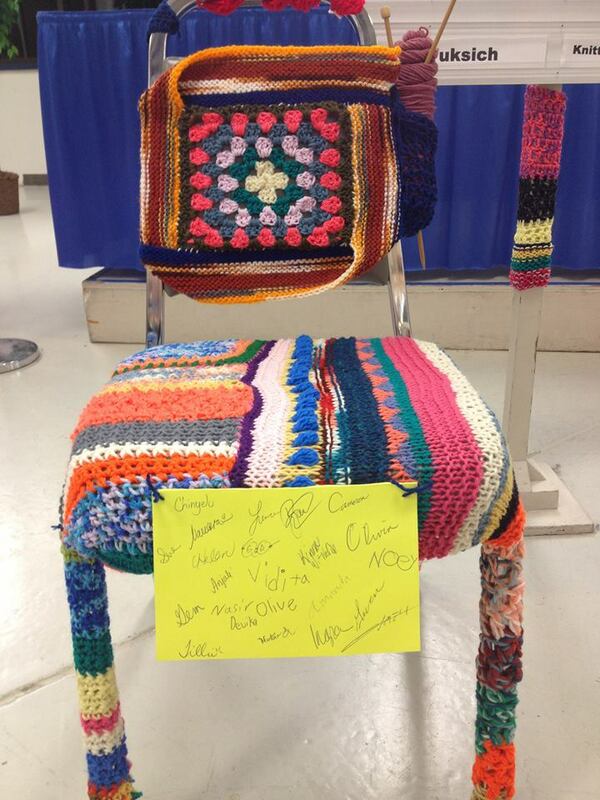 I’m in the process of negotiating the sale of this fiber art with the fair. They buy a piece of art every year for their private collection. It would be amazing if they did purchase it, because the money would go to student’s negative lunch accounts in the Eatonville School District. The group I am a part of is called Yarnbombing For Lunches and last year we raised $400 with our fiber art to donate to the school on behalf of students with negative lunch account balances. This year our goal is $1,000 and this sale could get us a step closer to it. We’ll hold an online auction starting December 3rd…I’ll keep you posted on the details in case you would like to help us and also score some unique usable fiber art! One last thing, I met a really cool kid as I was packing up my demo. His name’s Will and he sat down to wait for his Mom who was looking at all the home arts. He said he liked the chair and asked what it was and who made it. 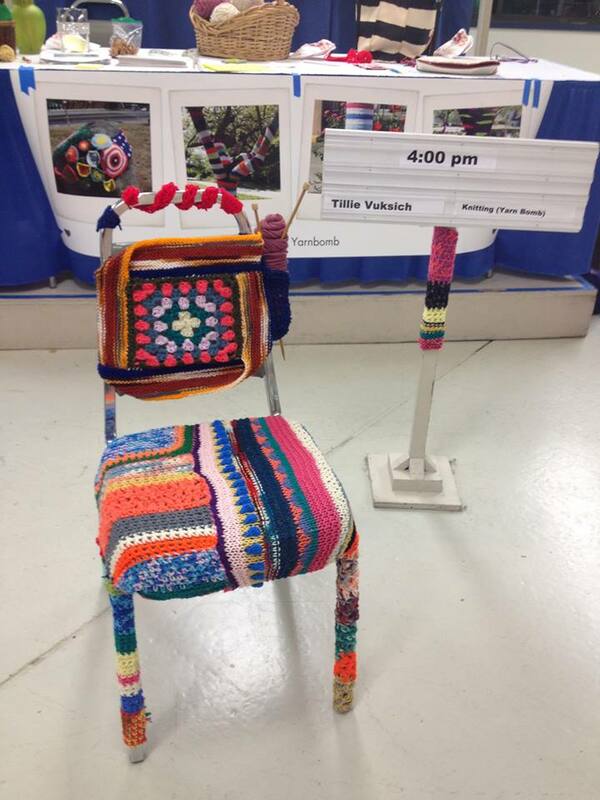 He asked if I ever yarnbombed a person and I told him “No, but a famous Polish fiber artist has, Agata Olek. I don’t think it’s been done in the states. Do you want to be the first?” to which he responded “Yes! And I’ll wear to a sporting event and get on the Jumbo-tron.” Will’s Mom came over and said her son was serious and gave me their contact info so we can get started. 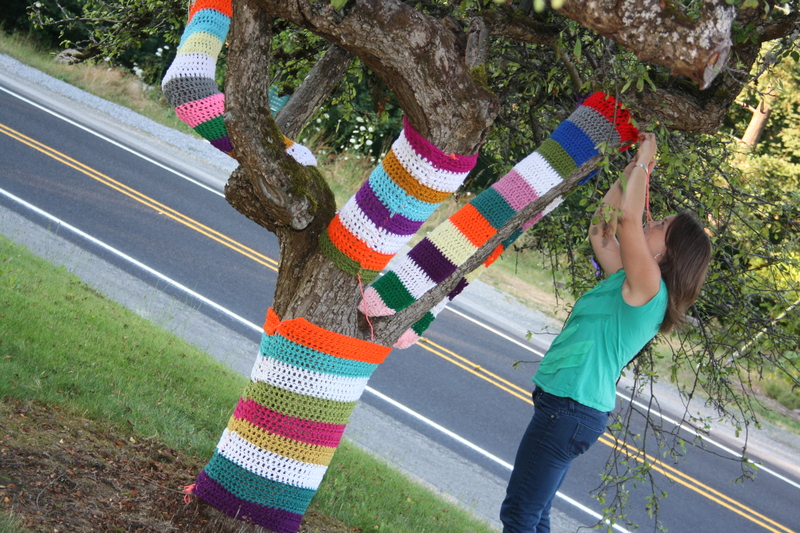 I’m excited to have a life-size model to yarnbomb! Thank you to the WA State Fair for having me out to demo my art and to all the amazing people I met along the way! We’ll be in touch. Previous PostYarnbombing At The FairNext PostBusy! It’s the four-letter word that describes my life right now. I love the seat cover. I might even start making some seat cushions like that.